Consult not your fears, but your hopes and dreams. Think not about your frustrations, but about your unfulfilled potential. Concern yourself not with what you have tried and failed in, but with what is still possible to do. Everyone has dreams. How many times have you said the words, “I thought of that idea, but didn’t know how to accomplish it” – or “that could have been me being rich and famous, I thought of that idea years ago”? I believe that the universe downloads great ideas to many, because most of us will never chase the dream into a reality. We may place blame, give reasons, and even have excuses, but in the end, it is an act of cowardice to not follow your dreams. When we are dream chasers we realize that the person who we are, has just been constructed out of myths we have told ourselves since we were children. That this person who was created out of ideas, beliefs and images – is not really who we are. Those myths don’t define us, and they are not who we are deep inside our souls. The dream is our souls way of clearing out all of the things that no longer serve us. It draws out of the center of our soul who we really are. When we decide to become dream chasers, it changes our life forever. This is because this decision means that we have decided to become someone different than we have been. We realize that in order to bring the dream into reality, we have to become who the dream is calling us to be. Someone who is brave enough to follow her own wild and crazy ideas. Someone who has the courage to put as much effort into doubting the fears that come up when we go outside the safe zone in our lives, as we put into doubting our dreams. Someone who puts her visions of what is possible onto the world stage. We realize as dream chasers, that our dreams are a verb, an action needs to take place. We need to serenade our dreams, ranging from the simple love ballad to the romantic symphony, reflecting the intensity of our love for the dream we are chasing. We bleed the words of our souls poetry onto the page of our dreams, spilling out our hearts desires. We float across the dance floor of our dreams, with the intensity of the Paso Doble. The paint of our dreams swirls across the canvas, blending in the colors of our life as we paint it into existence. As the conductor of the orchestra, with the baton leading the intensity of the music, we create a tapestry of tones and colors across the mind. Dreams are valuable commodities. They propel us forward. They give us energy. All of this art creates the souls wishes from deep inside of us, out into the world stage. The distance between our dream and reality is bridged by action. Small steps become long distances, when we just keep walking. Remember the joy of the babies first step? Then we hold out our hands and just keep walking backwards one step to encourage them to take another and another. The next thing we know they are running across the room, the yard, and the world. Small steps become long distances, when we just keep walking. What is most needed at this moment, is for all of us to let lose our passions, and come alive. Come alive and go out and do what you see needs to be done. Don’t wait for someone else to solve your problems, or your neighborhoods problems or the worlds problems. Come alive and do something. Join an organization to help others; get involved in volunteering, in politics, in raising your hand and saying, “I can do that”. Refuse to let the fears and nightmares of other people’s lives distort our dreams. Don’t apologize for having dreams. Don’t stop chasing them because others don’t want us to try to bring them into reality. We realize that chasing our dreams is hard work. That chasing our dreams will change our lives, and the lives of every person we impact. We don’t stop chasing our dreams because they excite our spirit. We have a deep hunger that can’t be satisfied in any other way. It is our road, our dreams, our life. Don’t follow your dreams; chase them . . .
Dreams are all about transforming. When we listen to our souls voice, we see these dreams play out in our imagination. Our imagination is the illustrator to the book that your soul has written out on your heart. It is up to you to read the blueprint designs, and go out into the world and build them into reality. Negative people are like termites. If you let them into your dreams, they will destroy what you are building. You are far too smart, to let the negativity of your own mind or that of others stand in your way. Keep your dreams alive. Understand that to achieve anything requires faith and belief in yourself, vision, hard work, determination and dedication. Remember all things are possible for those who believe. Remember that God put that dream into your heart. He whispers to your soul what the next step is to bring it into reality. You just need to listen, believe and go out and do what you can do. God will make sure the right doors open, but you have to step through them. 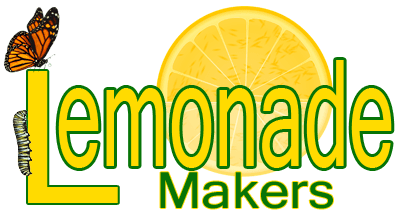 I encourage you to check out our LemonadeMakers Club. It is being designed with helping each of us to dig deeper into hearing our own inner guidance. To learn to understand the directions of the divine through our souls voice. To better understand not only how to access it, but to see what in our lives is undergoing transformation and learn to work with it, instead of against it.